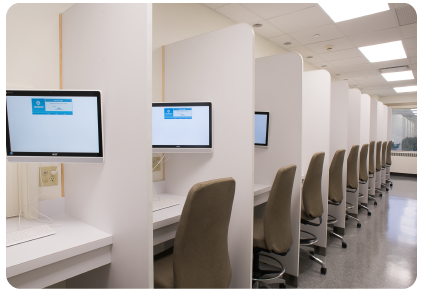 The region's premier sensory research & product testing facility! The area's best-equipped and most-experienced sensory research and product testing center. Features sink booths and food/beverage booths, a test kitchen, focus group room and multi-purpose room. Conveniently located just north of New York City in Westchester County. 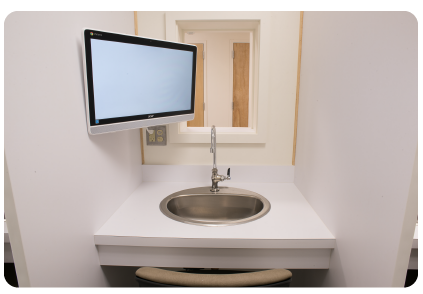 Personal & Home Care Booths (12). Features sink, outlets, sconce lighting with pass-through to product prep area. Food & Beverage Booths (23). Designed for food/beverage evaluations with pass-through to product prep area. Multi-Purpose Room (23' x 36'). A totally flexible space, with seating for up to 40 classroom style. 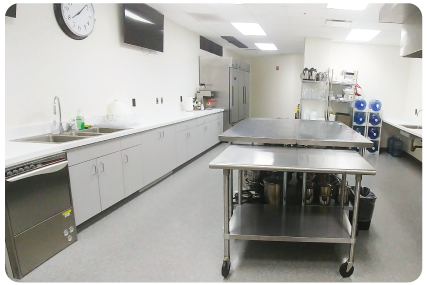 Test Kitchen & Lab (18' x 30'). Walk-in cooler, freezer, three electric ovens, ten microwaves, counter space and more. 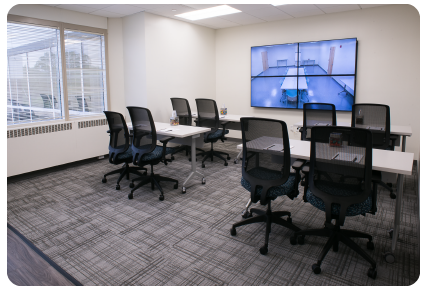 Focus Group Room (23' x 36'). Comfortable seating for 15. Client Lounge. Spacious accommodations with viewing via CCTV.